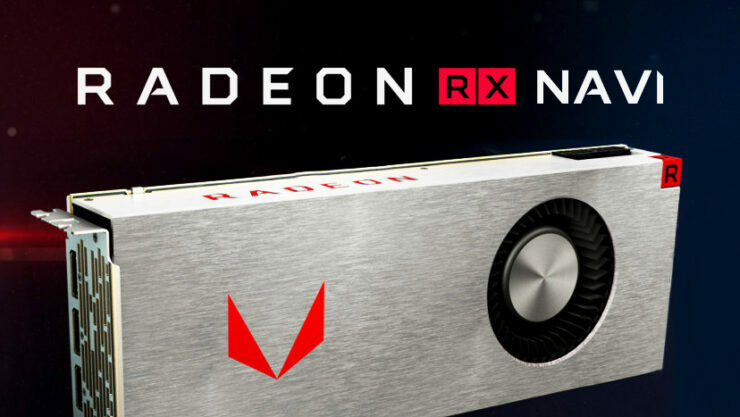 In 2016, AMD unveiled its first roadmap that officially contained the Navi GPU. It was scheduled to come soon after 7nm Vega and was supposed to be the next-generation GPU and land sometime in 2018. AMD held its Computex 2018 recently, to great success, but the one thing that bugged me was the lack of any new graphics cards for gamers. Navi was also implicitly pushed back, a year at the very least, and the roadmap changed to something more tentative. While in Taiwan for Computex 2018, I had the opportunity to talk to sources intimately familiar with the entire situation and discovered there was a very interesting story to be told – one which made everything fit in place perfectly. Navi was originally scheduled for release in 2018. The first thing I will point out before I go onto the juicy details is that it is essential to understand AMD’s contextual backdrop – both in terms of talent and finances. The company has a market capitalization of $15.25 billion and has struggled to turn a profit. In comparison, competitors like NVIDIA and Intel are giants with market capitalizations of $158.2 billion and $254.1 billion respectively and net income in the billions of dollars as well. The same goes for talent as well, it costs money and AMD has a relatively smaller pool of (very) talented engineers that can work on a given project at one time as compared to its much bigger rivals. Pundits that have been following AMD’s progress will almost unanimously agree on one thing – AMD is a company that is cash-starved. With a finite flow of resources, the company has to be very careful of how it allocates the precious pool of R&D and how it does so usually dictates its performance for the next couple of years. This is also where our story begins. Kyle Bennett of HardOCP first reported a rift between the now-Radeon Technologies Group department and the company’s CEO Lisa Su quite some time ago. The issue was simple, Raja Koduri (the RTG boss) wanted more autonomy and there were rumors that they wanted to spin off the graphics department completely. Well, we now have the full story in-hand and the issue went much deeper. Lisa packaged the graphics department neatly into Radeon Technologies Group and gave control of that to Raja Koduri, but at the same time devoted 2/3rds of the talent on-hand for RTG to develop the next semi-custom solution – which was Navi for Sony. The P&L of RTG was also not handed over to the group head and that meant they were effectively left with 1/3rd of the engineering talent devoted to making a graphics card for gamers and almost no control over their own finances. The result of this choice was that AMD was spectacularly succesful at its x86 comeback and also locked in Apple and another client on the semi custom side – the cost, however, was something that gamers paid. Luckily for AMD, this is around the same time that the cryptocurrency market started booming and it came into a windfall as Vega turned out to be great mining GPU and started to sell like hot cakes. The reason why Lisa did that was simple: semi-custom applications is a lucrative business. The margins are low, but the volume is high and the net income is consistent. Catering to gamers was not part of the win-condition; making AMD a viable, financially robust company was. Here is a fun fact: Vega was designed primarily for Apple and Navi is being designed for Sony – the PS5 to be precise. She also had a different kind of vision for the graphics department – the professional side of things as a star player. The gaming market has lower margins and a higher cost of leadership. Not only do you need to have performance leaps after every year or so, you need to achieve economies of scale to bring them down to a lower enough cost for gamers to be able to afford them – and that can only happen if your yields are completely in-line. 7nm is the bleeding edge of process technology, it is roughly equivalent to Intel’s 10nm process and it goes without saying that yields are less than ideal on this node. Probably one of the biggest revelations in my chats was that 7nm Vega will not be arriving for gamers – ever. As I mentioned earlier, AMD is building Navi for Sony and it is their deadlines that matter to Lisa right now, nothing else. This is also why the company changed its “official roadmap” to a very tentative structure – a far cry from the concrete and quantitative ones it used to use before. Also keep in mind that all roadmaps are for Radeon and since the Instinct lineup is part of the Radeon brand, you cannot differentiate the gaming side from the professional side anymore. Vega 7nm will not be coming to gamers. Navi 10 will be the first Navi part to arrive and will be landing sometime in 2H 2019 or early 2020, depending on a couple of factors. The performance level of this part will be equivalent to Vega and it will be a small GPU based on 7nm. Navi 14 will follow Navi 10 soon after. Navi 20 is going to be the true high-end GPU built on the 7nm node and as things stand right now, you are tentatively looking at it landing sometime around 2020 – 2021. Navi will also be the first architecture to transition away from GCN (and along with it, the 4096 SP / 64 CU limit that is inherent to the uArch implementation). 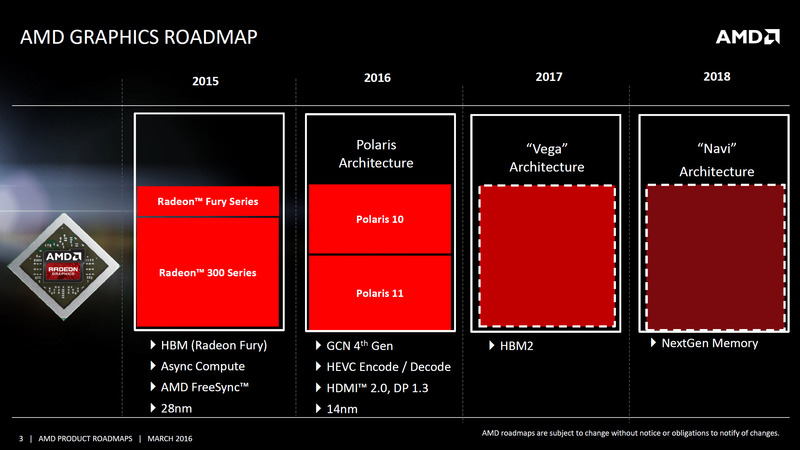 ‘Next-Gen’ architecture is the uArch formerly codenamed KUMA internally before AMD decided it didn’t like that name too much (oops) and will be based on the same brand new major architecture that AMD rolls out with Navi. Navi 14 will be the immediate successor to Navi 10 and not much was revealed about this part except that it will come after 10. Navi 20 is the GPU that you are waiting for and will be a true high-end gaming GPU manufactured on the 7nm process by AMD. The downside? it won’t be coming anytime soon. In fact, our source stated it could take as long as 2021 before it sees the light of day. While it’s clear to me that Lisa steered the company towards the steady and reliable income of the semi-custom market and prioritized the CPU side of things over RTG, I cannot bring myself to say it was a bad thing in terms of creating value for shareholders. Sacrificing some of their gaming blood to make a comeback in the x86 market and a slow but steady stream of income from the mainstream and semi-custom GPU market is the trade-off at play here and while I do not have the actual numbers to back any kind of statement, it does seem like a feasible choice to make. Lisa’s choice might have robbed Radeon fans of their birthright, but it probably saved the company.